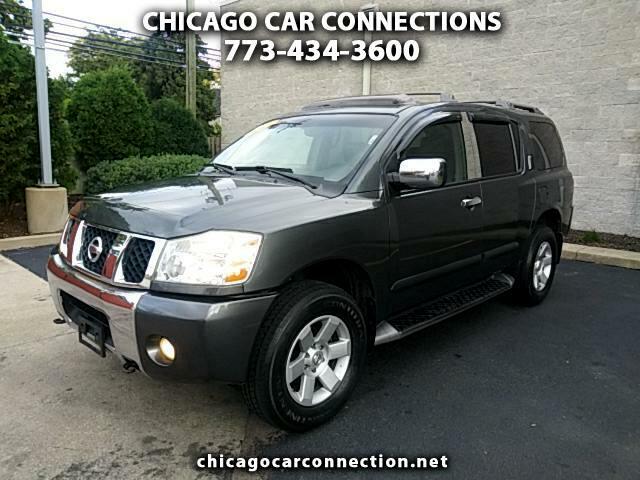 Message: Thought you might be interested in this 2004 Nissan Armada. Most cars still have a remaining factory warranty and we can find out in service dates. Please note that the advertised prices qualify for pre-approval from your bank or cash buyers only. If you don't have any financing & need our assistance you may be subject to change of retail price. Internet Prices may be entered incorrectly and are subject to change and subject to final Manager approval. Your submission of an offer is not binding to you or the department. Please call for details. **Disclaimer** Sales Tax, Title, License Fee, Registration Fee, Dealer Documentary Fee, Finance Charges, Emission Testing Fees and Compliance Fees are additional to the advertised price.